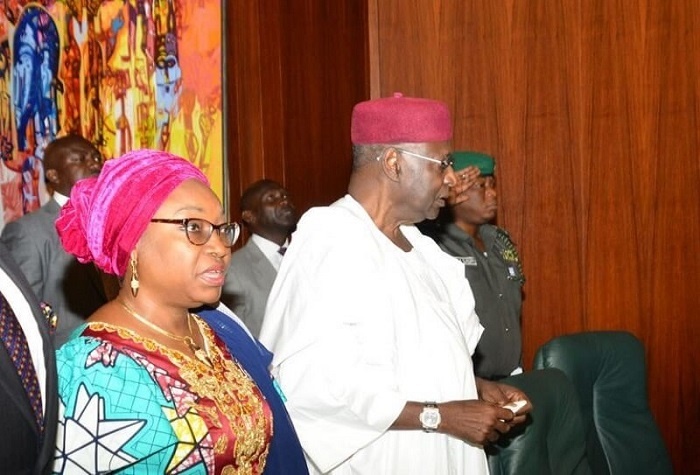 A video showing a heated argument between the Chief of Staff to the President, Abba Kyari; and the Head of the Civil Service of the Federation, Winifred Oyo-Ita, is trending online. The discussion is believed to be about Oyo-Ita’s memo to Kyari on the embattled former pension boss, Abdulrasheed Maina. The memo is believed to have been leaked.